The American Standard Priolo Toilet Bowl 3697.001.020 model comes with great overall features for your bathroom collection. 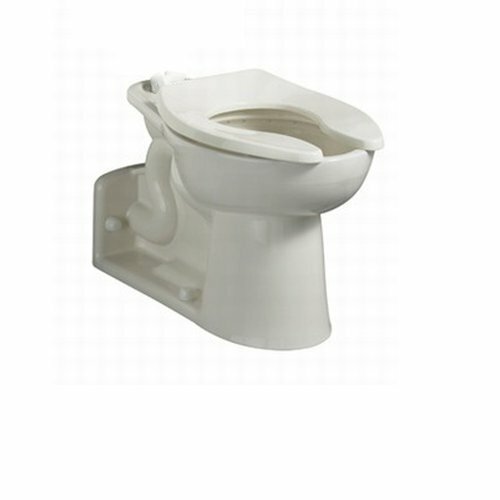 This particular model is a right height elongated bowl which comes with a fully glazed 2-1/8 inch trapway which can provide the assurance of maximum flushing capacity. It also features an elongated siphon jetted bowl which also speaks a lot about its overall performance. It also promotes water conservation with its low water consumption rate - a standard among the products carrying the American Standard brand. With a product under this name, there is an assurance, not just of functionality but of quality as a whole.